Home to one of the world's biggest refineries, Jamnagar's modern facade often eclipses its natural and cultural charms. Those who dig a bit deeper on a Jamnagar vacation will, however, find plenty of attractions that warrant a visit. The hot, mostly dry city near Gujarat's west coast offers several palaces, a fortress, bird and marine sanctuaries, picturesque islands, and an impressive lake around which the city sprawls. The biggest producer of brass goods in India and one of the biggest in the world, Jamnagar also holds a remarkable Guinness World Record for the longest continuous chanting of a mantra, which began in 1964 and continues to this day. Jamnagar is in Jamnagar District. To personalize your trip to Jamnagar, create itinerary details specific to you using our India tour itinerary planner . 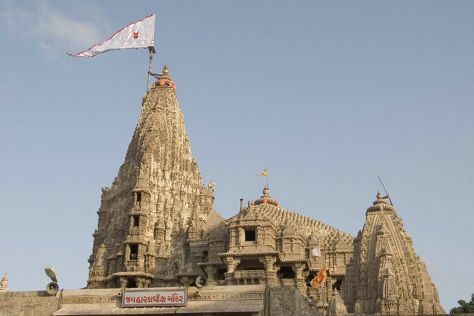 Jamnagar's reputation as an oil hub has overshadowed its tourism potential, so the city receives few tourists and doesn't offer a particularly broad selection of accommodations. Those on offer--primarily mid-range to luxurious hotels--lie in a few clusters, one just north of the lake, and the other farther north in the district of Vijay Nagar Society. A handful of very basic options can be found scattered around the city center.